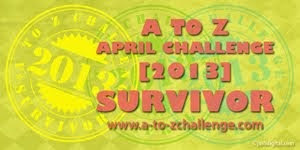 The challenge is done. No more thinking in ABC. Hooray! Tomorrow, we shall be back to regular programming. Which is uhm I dunno. 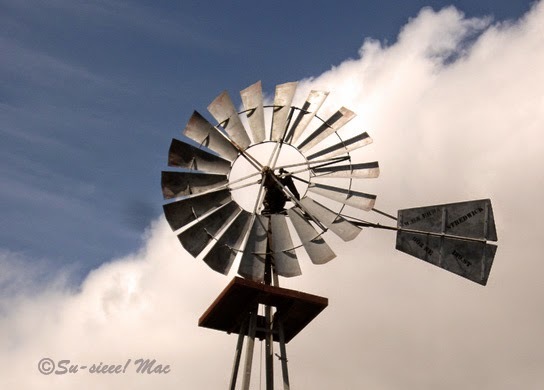 By the way, there are still a few windmills around Hollister. This one is at the Suncoast Organic Farm on Southside Road, where the Husband and I stopped to buy a pint of yummy lemon gelato. Talk about a zip-a-dee-doo-dah, zip-a-dee-ay taste! Year. And, that year was 1965! Why 1965? Because I found the Polk's Hollister City Directory on the reference shelf at the local library. So, here we go into the way back machine. 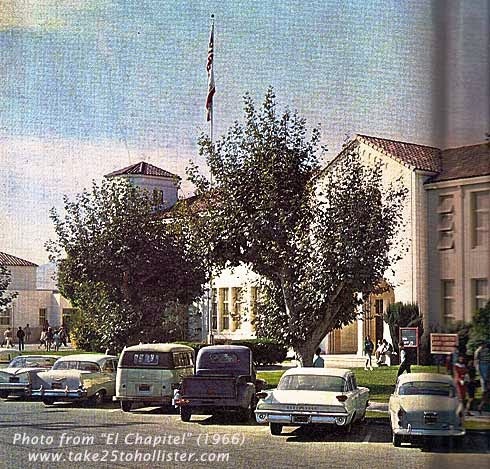 • Hollister Police Department employed 11 policemen and 1 matron. 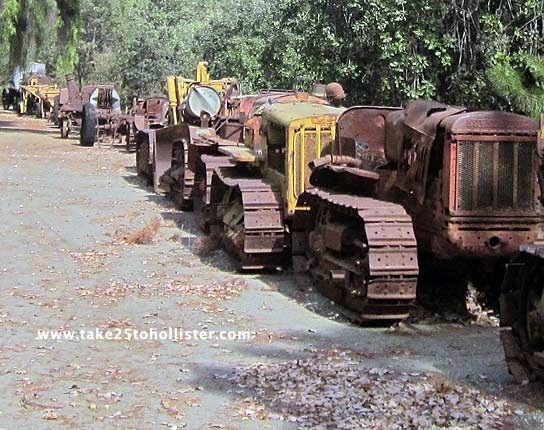 • Hollister Fire Department employed 5 full-time firefighters and had 19 volunteer firefighters and 5 fire trucks. • Bank of America was the only bank in town. Water. More specifically, the lack of water. Essentially, drought! 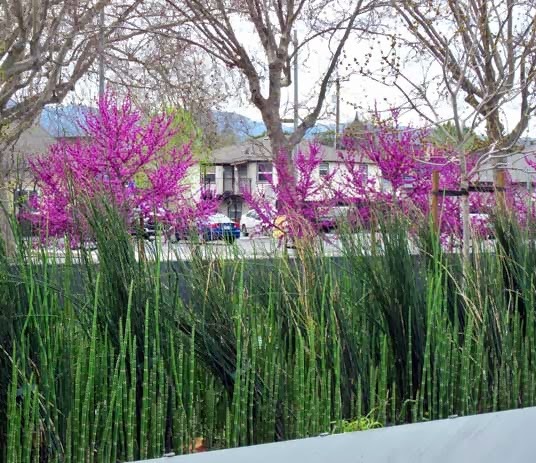 California officials mark the beginning of our drought as 2012. 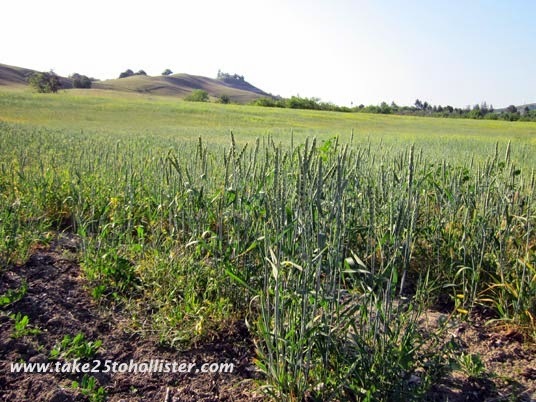 They report that Winter 2015 has been the driest year in the state's recorded history. 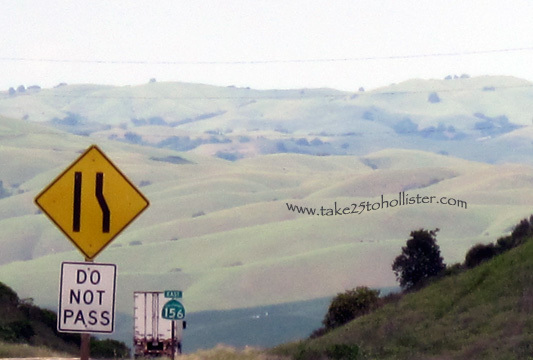 It's very evident when you see the hills and mountains surrounding Hollister. If it weren't for the cooler temperatures, I'd think it was August. 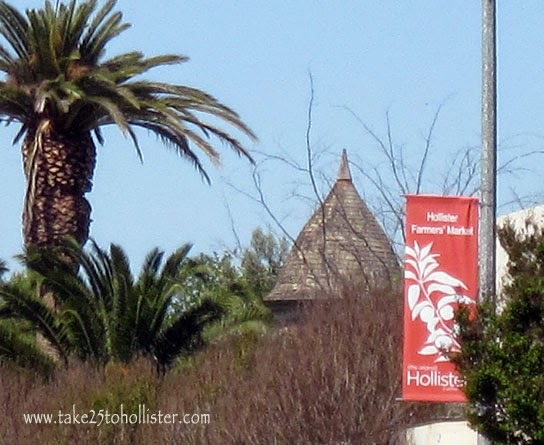 Check out how Hollister has looked in April over the past few years. 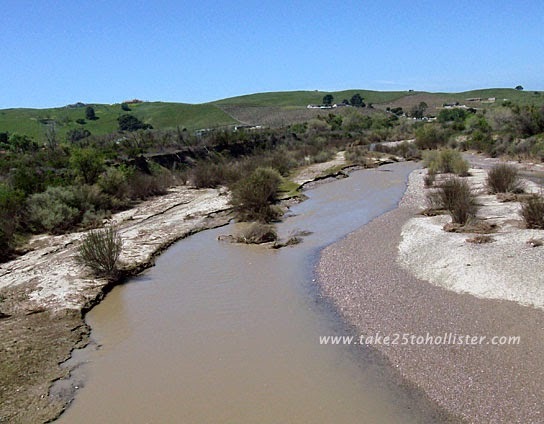 For information about water conservation tips, visit the Water Resources Association of San Benito County website. U is for. 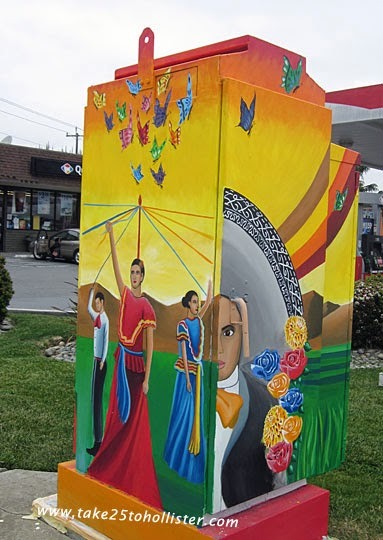 . .
Last December, the City of Hollister funded a project to paint murals on five plain utility boxes throughout Downtown Hollister. 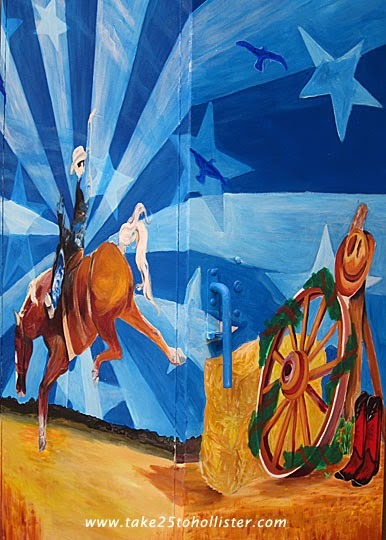 The murals, painted by Joel Esqueda and Rolan Resendiz, local artists, depict various cultural aspects of Hollister and San Benito County. 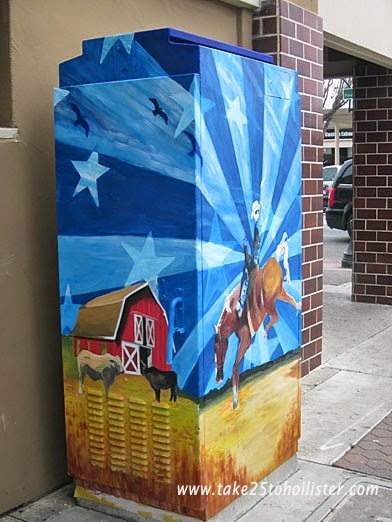 The mural on the utility box at the northwest corner of South and San Benito Streets celebrates cowboys and the annual rodeo. 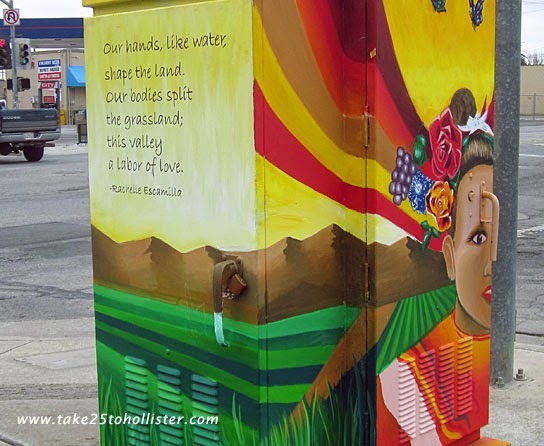 At the northwest corner of North and San Felipe Streets is another utility box with a colorful mural. 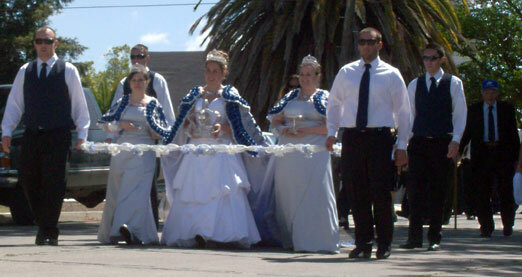 It honors the Ballet Folklorico, a traditional Mexican dance performed at local festivities. T is for. . . 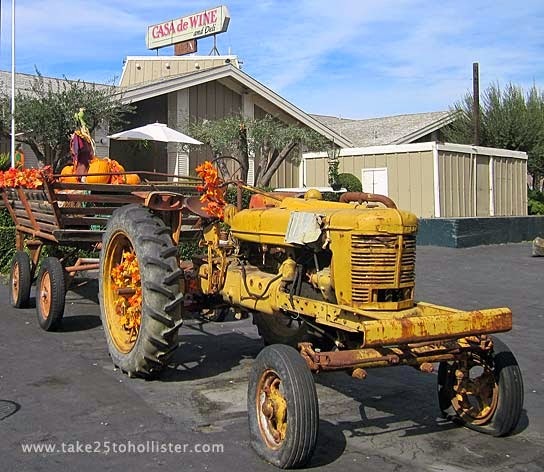 The tractors on this page can be seen around the grounds of Casa de Fruta, a roadside orchard resort several miles northeast of Downtown Hollister. 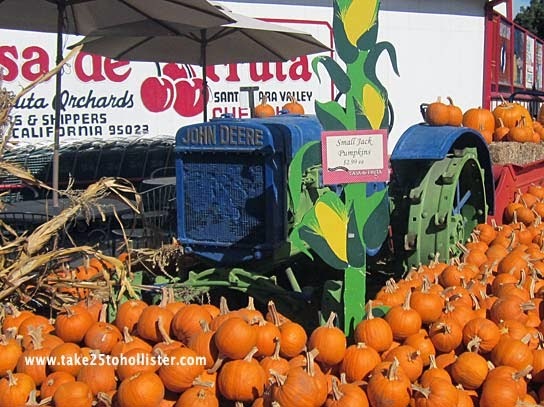 Along with having an amazing display of old-time tractors and other farm equipment, Casa de Fruta has a great produce stand, wine tasting, restaurant, carousel, mini-train, and more. 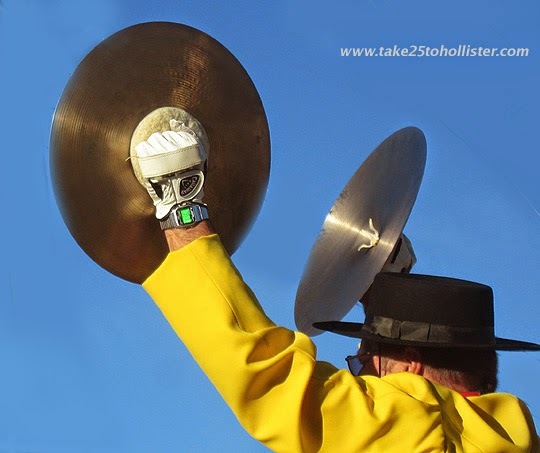 S is for. . .
John and Almira Steinbeck, to be precise. They were the grandparents of author John Steinbeck, who was born in Salinas and lived there until he graduated from Stanford. 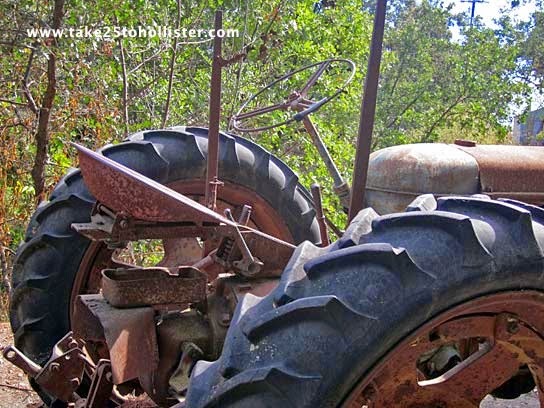 John and Almira Steinbeck were originally from Prussia. They first moved to Palestine before migrating to the United States. 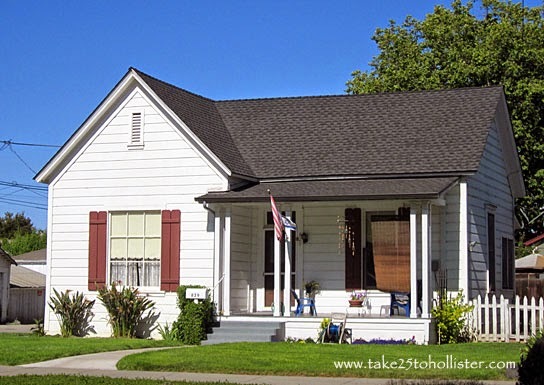 They settled in Hollister around 1874. They owned a dairy on Line Street, which back then was in the country. When they retired from farming, they moved into town, purchasing a house on Monterey Street. 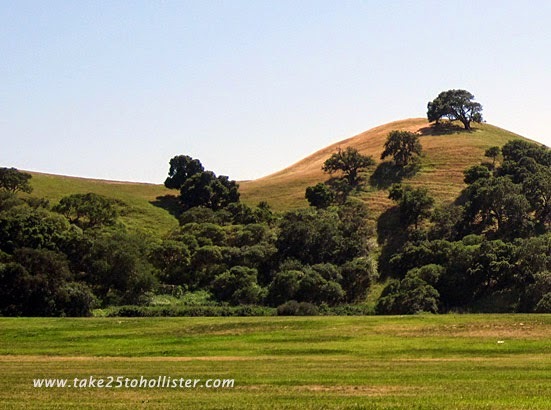 As a child, John Steinbeck and his family, from what I understand, visited their grandparents in Hollister by driving a surrey over the Gabilan foothills via the Old Stage Coach Road. 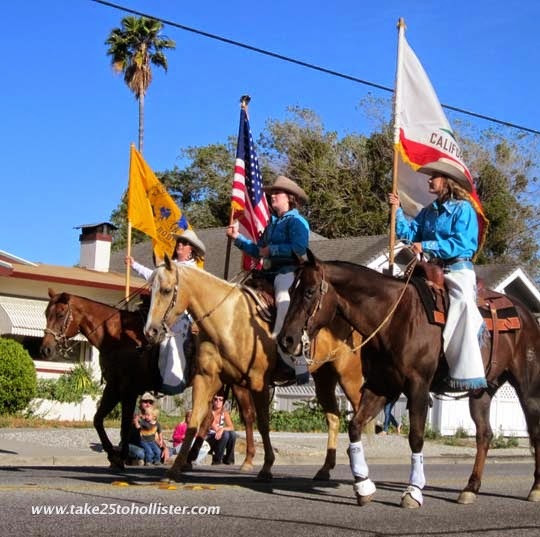 Part of the road is known today as the Anza Trail. Something to think about the next time you hike that trail. R is for. . .
Rally. 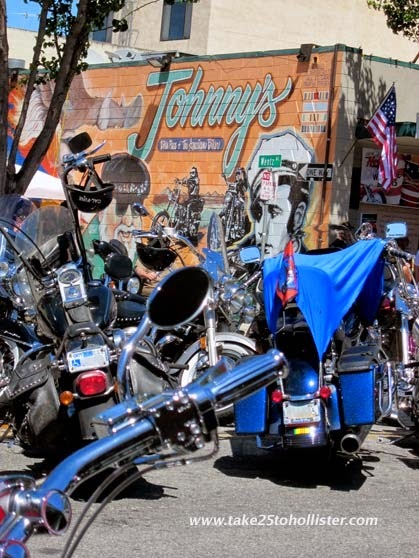 Motorcycle Rally. 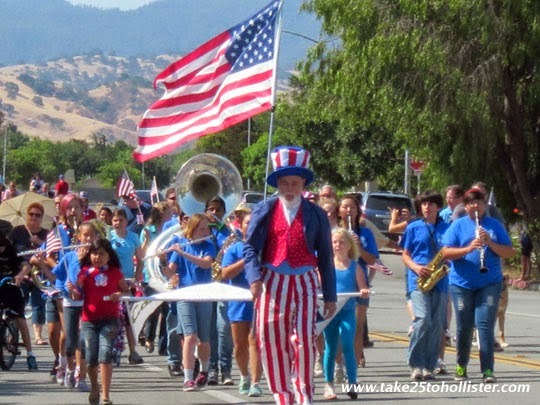 The Hollister Freedom Rally! 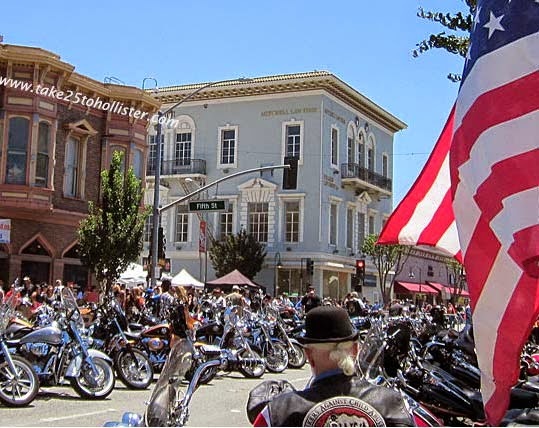 This year, thousands upon thousands bikers from all over the United States will trek to Hollister on the Fourth of July weekend to take part in the annual motorcycle rally that celebrates "The Birthplace of the American Biker". This event has been held officially, and unofficially, since 1997. 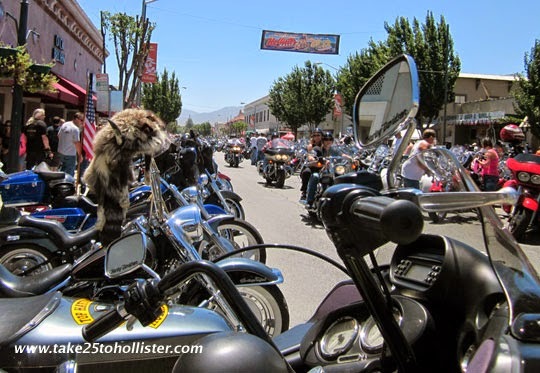 The city of Hollister held the first rally to commemorate the 50th anniversary of a biker's incident that happened in Hollister over the Fourth of July weekend in 1947, upon which the movie The Wild One, starring Marlon Brando, was based. I've written about the 1974 incident, as well as the history of the rally event, in an earlier post. If you're interested, check out this page. 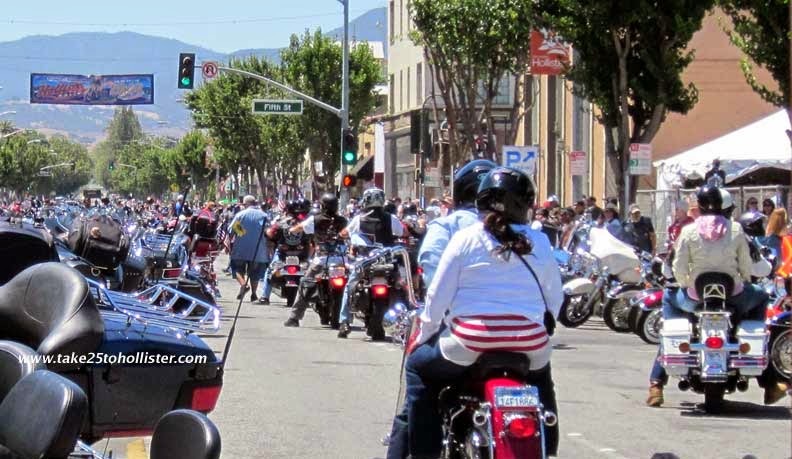 For more details about the 2015 Hollister Freedom Rally, visit its official website. Just when I think I've photographed everything under the sun in downtown Hollister, I see this view. Don't you think that if the banner wasn't there, the photo could be of somewhere in Southern California? By the way, that's the tower of the Porter House on Monterey and Sixth Streets. P is for. . . 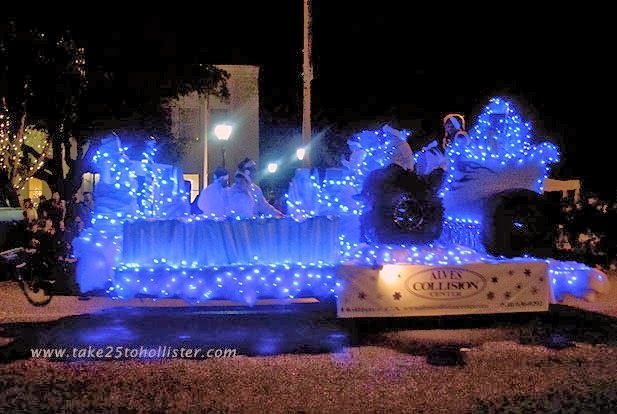 Sometimes I wonder if Hollister may have the most parades of any small city in the United States. Not complaining, mind you. 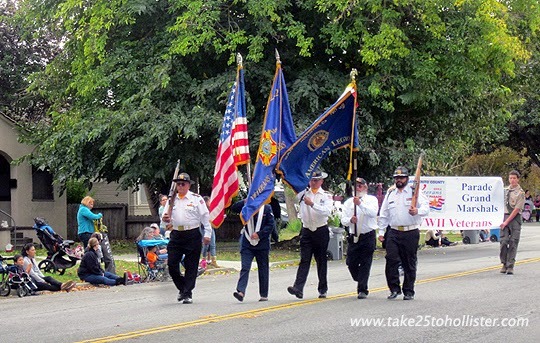 It's just amazing how many cool parades we have throughout the year. 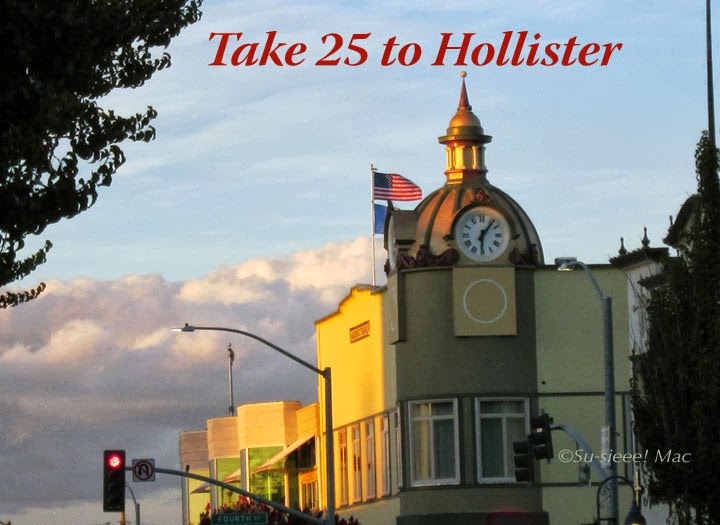 And, most of them go through Downtown Hollister. O is for. . .
Olives. . .Olive oil. 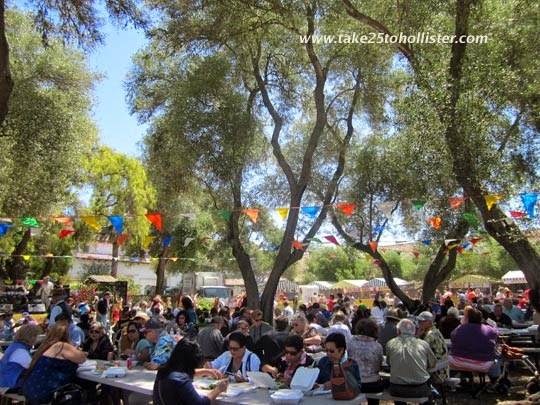 . . olive festival. . .the San Benito Olive Festival! 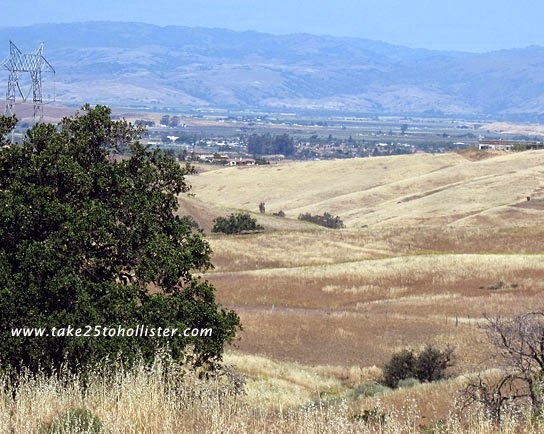 I never thought of Hollister as being in the middle of olive country. 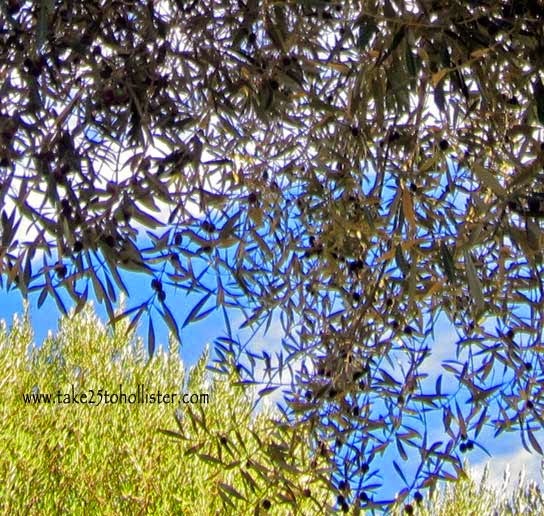 Probably to some we don't have a humongous amount of olive trees, but the number is surely growing. I'd be walking along and suddenly notice, "That's an olive tree." 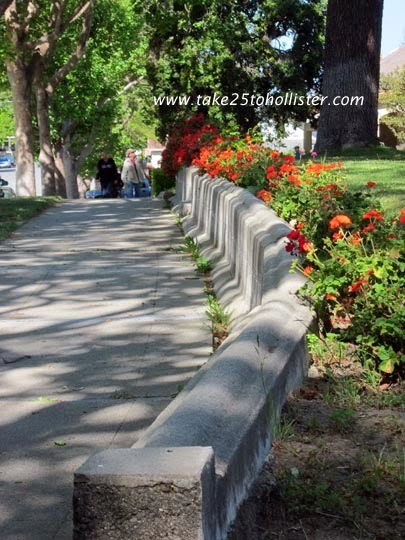 It may be one tree planted in front of a house, several trees clustered together, such as in the public parking lot behind Wells Fargo Bank, or an olive grove, such as the one at the start of the road to the San Juan Oaks Golf Club. 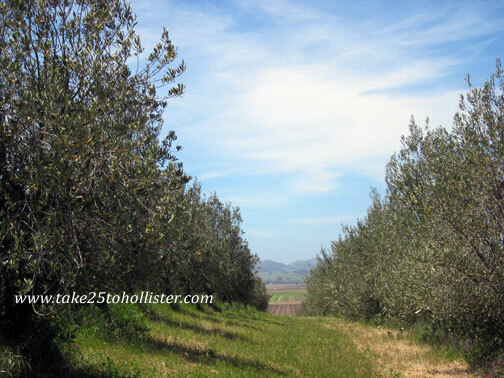 Brigantino's olive grove overlooks San Juan Valley. 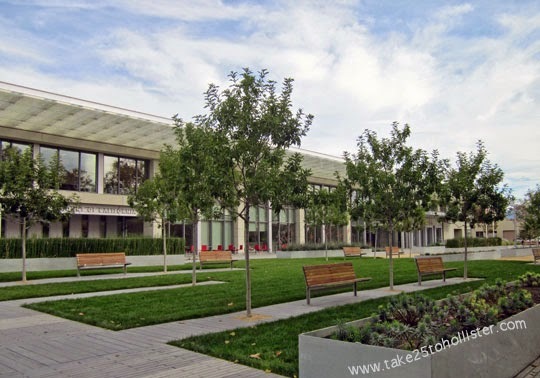 Local historians say that the first olive trees were planted in the 18th century by the Spanish padres around Mission San Juan Bautista. 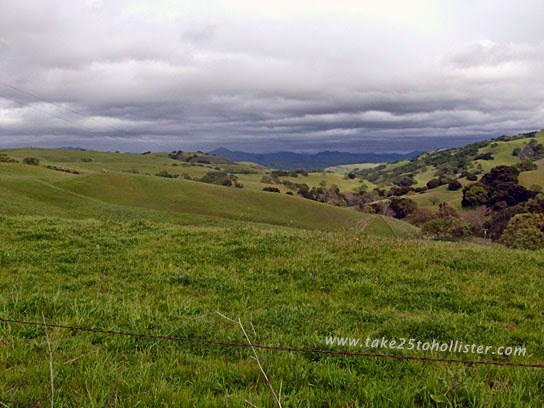 (That's about seven miles west of Hollister.) 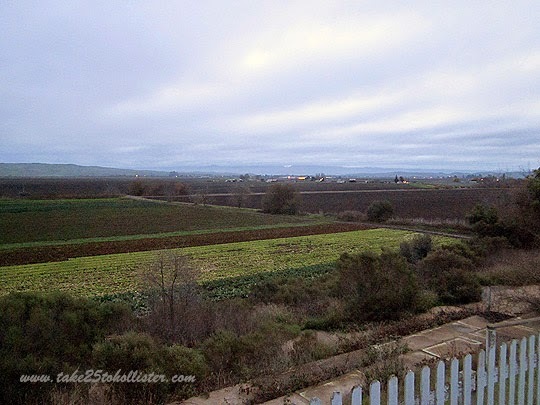 The mission padres turned the crop into olive oil for their private use. I guess it would be a long wait in those days for olive oil to reach them from the Old World. 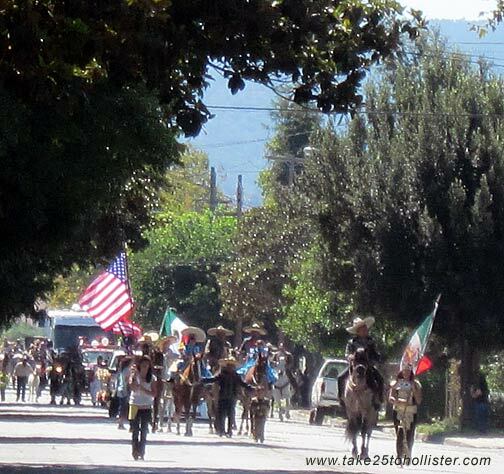 Old Mission San Juan Bautista Fiesta takes place. 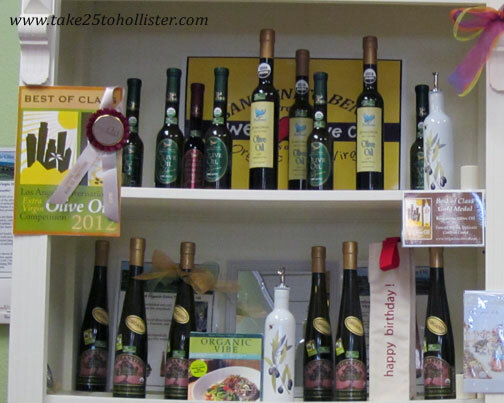 Today, we have several local olive growers in San Benito County who produce award winning olive oils. 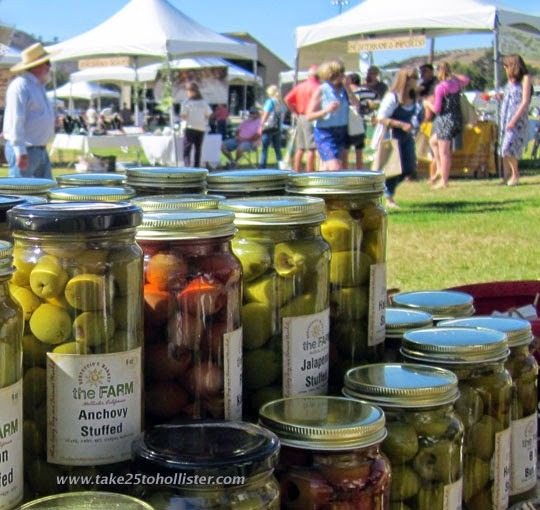 In 2013, a group of local community leaders, businesses, and volunteers organized the first San Benito Olive Festival to celebrate the agricultural bounty, artisanal food producers, and natural beauty of our area. 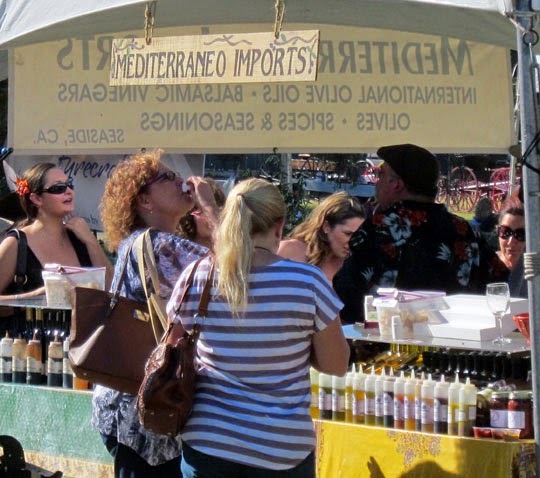 One Saturday in October, the event brings together amazing olive oil makers, food crafters, celebrity chefs, artists, musicians, restaurants, and others from the local area as well as from other parts of California. 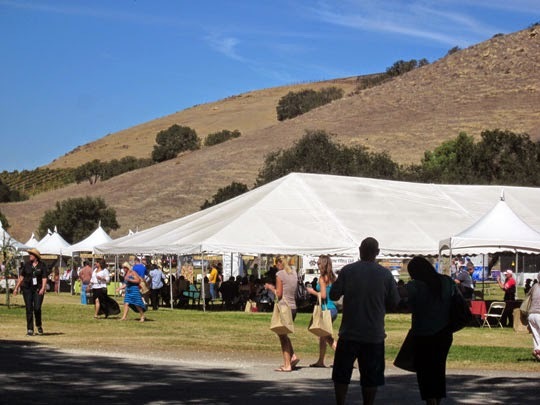 This year, the San Benito Olive Festival will be October 17, 2015. The venue to be announced soon. Save the Date!